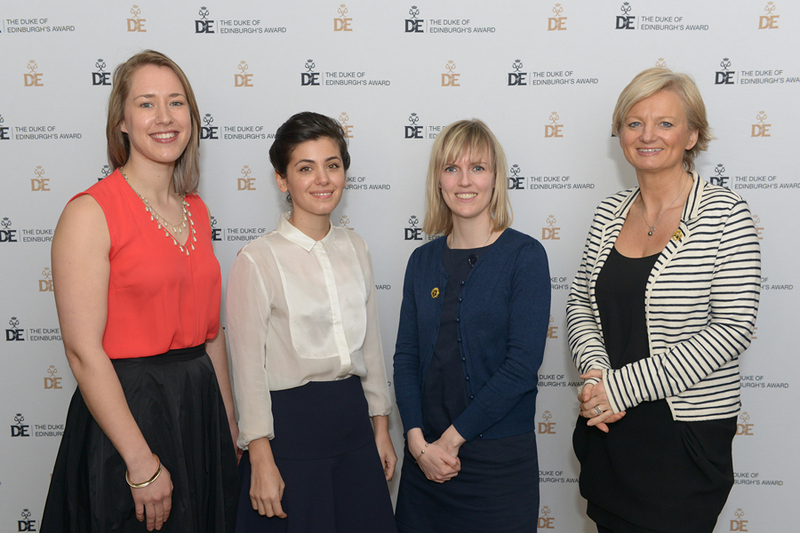 Multi-Gold and Platinum award-winning singer Katie Melua joined other successful female ‘Gold’ stars to present young people with their Gold Duke of Edinburgh’s Awards (DofE) at St. James’s Palace today, 25th March 2015. Following International Women’s Day earlier this month, the all-female line-up featured Gold DofE Award holder, broadcaster, author and consumer journalist Alice Beer, Olympic Gold GB Skeleton champion Lizzy Yarnold MBE and comedian and acclaimed stand-up comedian and writer Holly Walsh, a Gold DofE Award holder herself, well known for her TV appearances on shows such as 8 Out of 10 Cats Does Countdown and Mock the Week. Each presenter gave Gold DofE Awards to over 50 young people; recognition of their eighteen months or more of altruistic and challenging activity including community volunteering, and planning and undertaking an adventurous expedition. At the event the presenters were thanked for their support by HRH The Duke of Edinburgh, patron of the DofE Charity, who created the world-leading achievement award in 1956. Since then, some five million young Brits have taken part in this life-changing programme. Today the DofE is widely recognised as having a long-term positive impact on young people’s prospects as they develop vital skills for both life and work including confidence, commitment, team working and a real sense of community involvement. There are currently over 300,000 young people taking part in a DofE programme across the UK through a variety of centres including both state and independent schools, special schools, businesses, prisons, young offender institutions and youth groups. For further information on the DofE please visit: www.DofE.org.